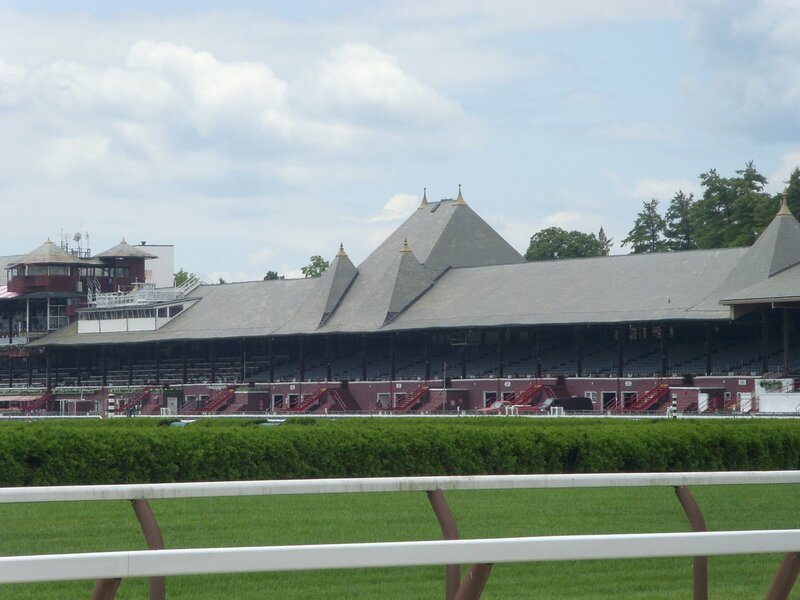 Not that one needs an excuse to head to Saratoga, even briefly, but a bit of business called me there this week, and I used it as an opportunity to mix business with all kinds of Saratoga pleasure. Mama Backstretch had not yet made the acquaintance of Furlong and Ruffian, so they made the trip with me. She was, of course, utterly charmed by them (and they by her), so here’s hoping that they have found their own kind of racing season rental, as mine doesn’t permit pets. Though far more inventive Italian restaurants have sprung up in Saratoga, the extended Backstretch family still heads to Pennell’s on a regular basis. It’s especially important to go now, before racing, as once the track opens, Pennell’s takes its signature dish (and Backstretch favorite), shrimp Genoase, off the menu (we are told that it’s too labor intensive to make during the craziness of racing season), and no way was I waiting until September to taste it again. 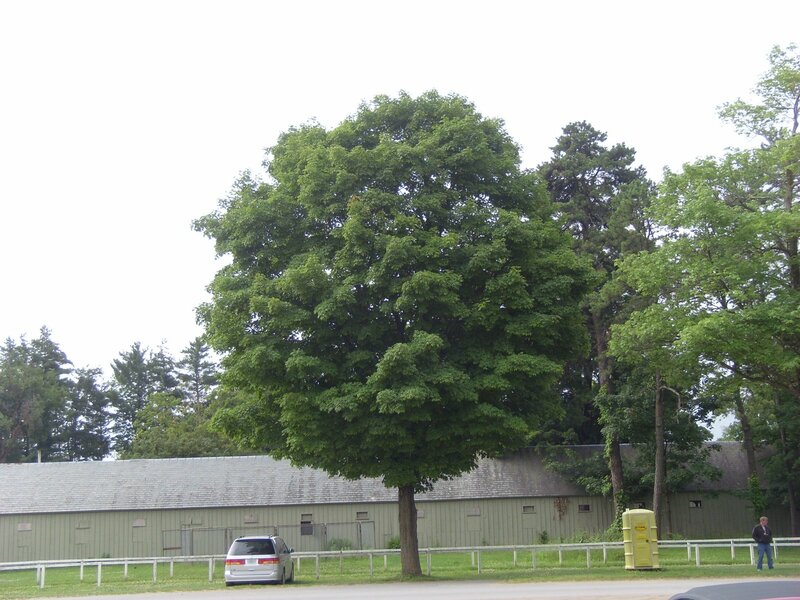 Another group of Saratoga Italians had a similar idea, as the extended Pompay clan, including trainer Terri, were settled in at Pennell’s as well. She’s hoping to bring a few horses to the Spa this year, and we hope to see her there. No summer evening in Saratoga is complete without a stop at the Adelphi for a cocktail, so on a picture-perfect evening, we headed downtown for a post-prandial stroll, followed by a drink in the lobby of this 1877 hotel. One of these days, I’ll see it covered in snow. Before departing for Brooklyn, I made a pitstop in Lyrical Ballad, where I unburdened myself of a bunch of money in near-record time. 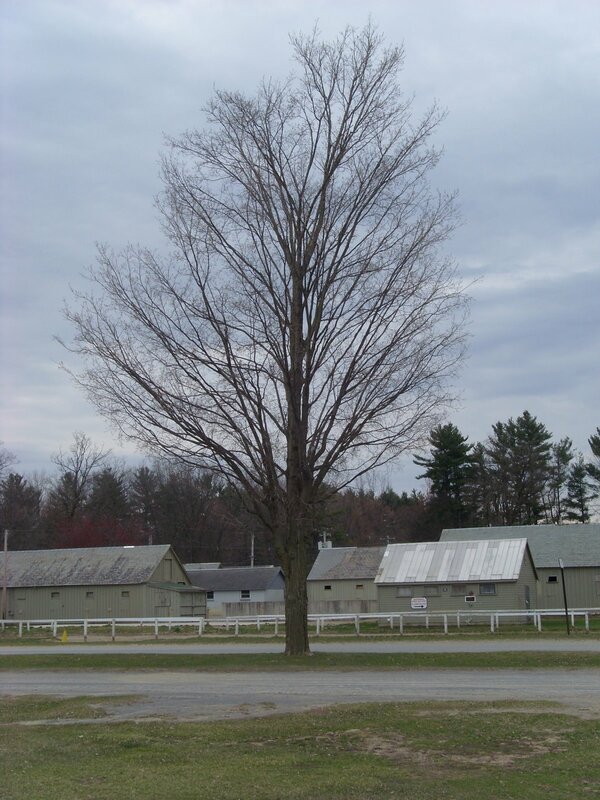 Something new: Hurricana: Thoroughbred Dynasty, Amsterdam Landmark, is the just-published work of Louis F. Hildebrant, Jr., and the story of the Sanford farm not far from Saratoga. I can’t wait to read it. 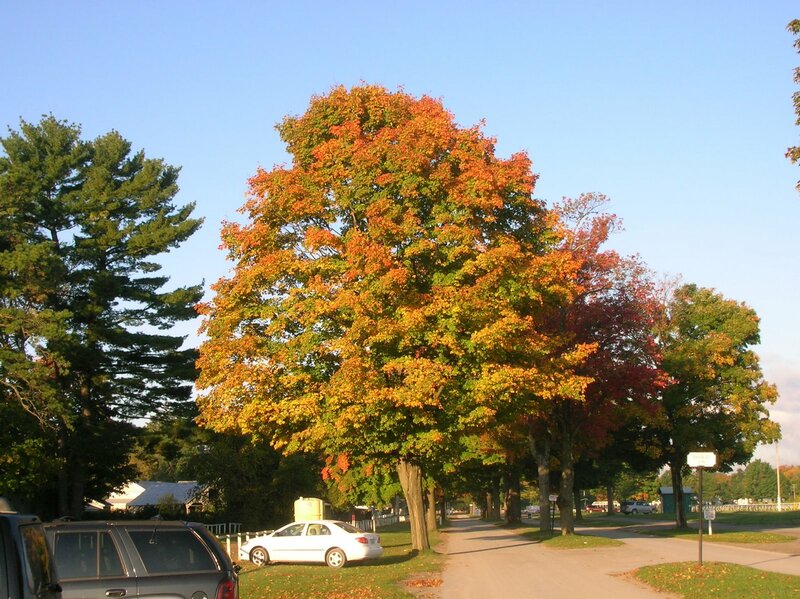 And something old: The Turf, by Alfred E.T. Watson, was published in London in 1898. It’s fragile and dry, full of photos, and an extraordinary treasure. Finally, some news that’s got me pretty excited: the bit of business that brought me to Saratoga was a meeting with some folks from the Saratogian, for whom I will be freelancing regularly throughout the meet. I’m expecting to do a mix of reporting, features, interviews, history—similar to what you’re used to seeing here—several times a week. For someone who grew up in Saratoga and for whom The Pink Sheet is a summer Bible, this is an incredible opportunity, one for which I am quite grateful. I’ll link here to whatever is published there. 19 days until opening day! Pennell's is a treasure. I also had the best Manhattan Clam Chowder at The Ripe Tomato a couple of years ago, but for some reason, it wasn't on the menu last year. I brought Kathy to the Adelphia Bar last year. Interesting place, loaded with characters. In my early years of Saratoga trips, we could never justify the expense to stay there, opting instead for the late Rip Van Dam, a place where you were never sure if the a/c worked, or if you would get hot water in the shower, but you couldn't beat the price and location. It was a great place to sit on the porch at night with a bottle of wine and people watch. Of course, I meant the Adelphi (too many memories of that lousy cable company I used to have). And if you are looking for prime rib, the Olde Bryan Inn is tough to beat, but get there early. Can't wait for the Spa season! Thanks, Brendan, for the good wishes and the warning–I appreciate both. Rich: No need to sell me on the OBI–I worked there for years, in college and for a bit afterwards. The place still feels like home. Teresa It was great to see you yesterday. Let's make sure we pursue the history idea we talked of. Thanks, Ernie. I'm grateful for the chance.Jim: absolutely. I'm definitely interested. You know I'm up for any opportunity to talk about the history in racing.